Do not leave your packing until the last day. Make sure all your mail will be re-directed to your new home/office. One man’s garbage is another man’s treasure. This is so important to remember when you’re moving as there are several organisations who would love to have your excess or unwanted furniture, books and clothing. Some of them will even come and pick it up for free. For the average home, allow at least three weeks for packing and cleaning…especially if you or other family members are working. It can be done faster but this way it’s much less and every one should have time to help out, including the kids. Make sure overhead obstructions are cleared as much as possible to allow the best vehicle access. If you are doing your own packing, try to avoid leaving out lots of small items. Instead pack them into large boxes. Have all electrical cords wound up and taped including your VCR, TV, stereo and kitchen appliances. 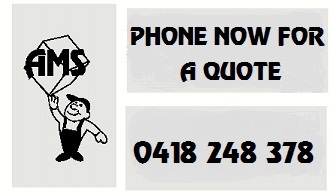 We operate in the Sydney metro and surrounding area (including Newcastle, Blue Mountains, Gosford and Wollongong).